It’s been a while since I’ve released a podcast episode. 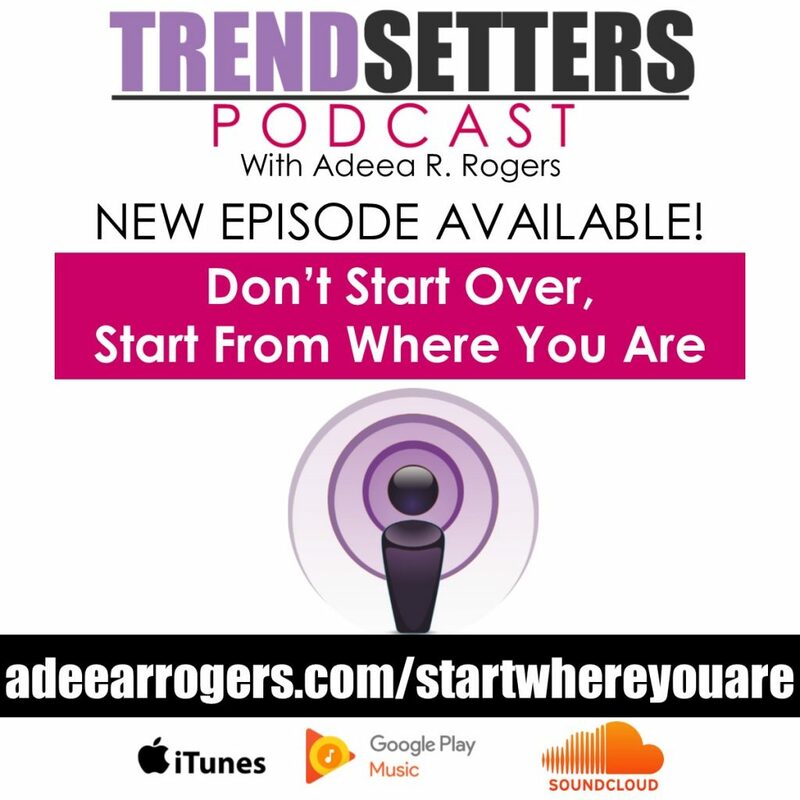 In this episode, I discuss what has transpired over the past few months and the lesson I learned in the process–you don’t have to start over, start from where you are. For almost 2 months, I struggled with my voice/throat (chronic cough). When you talk for a living, it can affect your coin. It can greatly affect the ability to live stream, conduct trainings, record podcasts, do coaching calls, etc. 1. Protect your voice. It is one of your greatest assets. Body and voice rest is crucial. 2. Cultivate and communicate with your email list. I know some of us have a “frienenemy” relationship with emailing our tribe. But this may be the only means of communicating at times. 4. Explore natural treatments. Chest rubs with lavender and eucalyptus oils. Zinc lozenges. 5. Develop other content (while well) that can be used if you’re out of play. Blogs, videos, courses, etc. Waiting til tomorrow is not promised.